Computer Solutions is located on the island of Nantucket, 30 miles out to sea, off the shores of Cape Cod in Massachusetts. Having been in business since 1991, Computer Solutions has been serving Nantucket's locals as well as summer visitors with technology products and services for almost 25 years. Computer Solutions was founded by Martha Wilson Sargent, a graduate from SUNY Albany with a B.S. in Computer Science and Applied Mathematics. Martha had come to Nantucket to work during her summers in college, and upon graduating decided to move to Nantucket (for 1 year, year-round) to see what Nantucket was like during the winter months. Needless to say, she never left and has been calling Nantucket home and operating Computer Solutions ever since. 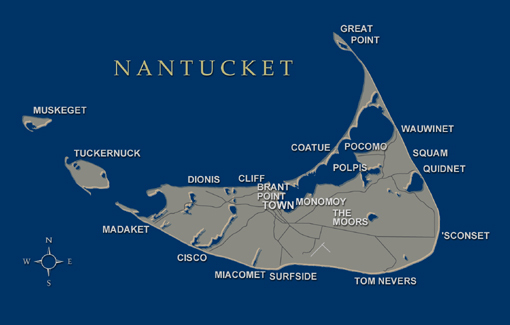 Alot has changed since those early days of DOS based computers, and Computer Solutions has been there for Nantucket every step of the way. Computer Solutions is Nantucket's only full service computer store. We are quite proud to be an Apple Authorized Reseller, a Dell Registered Partner, an HP Partner as well as a Microsoft Partner. The store carries almost everything you will need including a broad range of desktop and laptop computers, tablets, printers, ink cartridges, network switches and routers, cables, speaker systems, phone cases and accessories! In addition to stocking a wide variety of products, we also provide in-store repair of your equipment as well as on-site networking, repair, and troubleshooting. We would love for you to stop in and see what we have to offer. We are open M-F from 9-5, and Saturday's from 9-12.
or via phone at 508-228-8112.